Bottle up your data with the Napa custom drive! 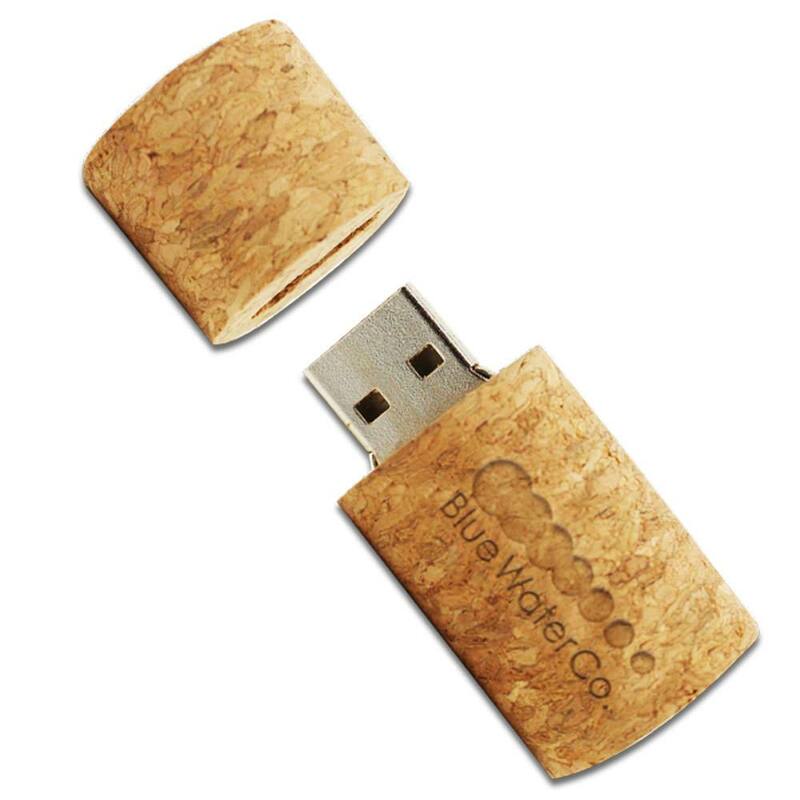 This special USB drive is shaped like a cork and made out of cork wood. It has a unique design that’s perfect for displaying your logo or personal brand on, thanks to the FREE Laser Engraving that comes with the customizable Napa drive. This intoxicating Hi-Speed USB features data storage capacities that range from 128MB to 32GB, has a shock resistance of 1,000G, up to 10 years of data retention, and a limited lifetime warranty. Order the Napa with free shipping and it should arrive within 10 business days. 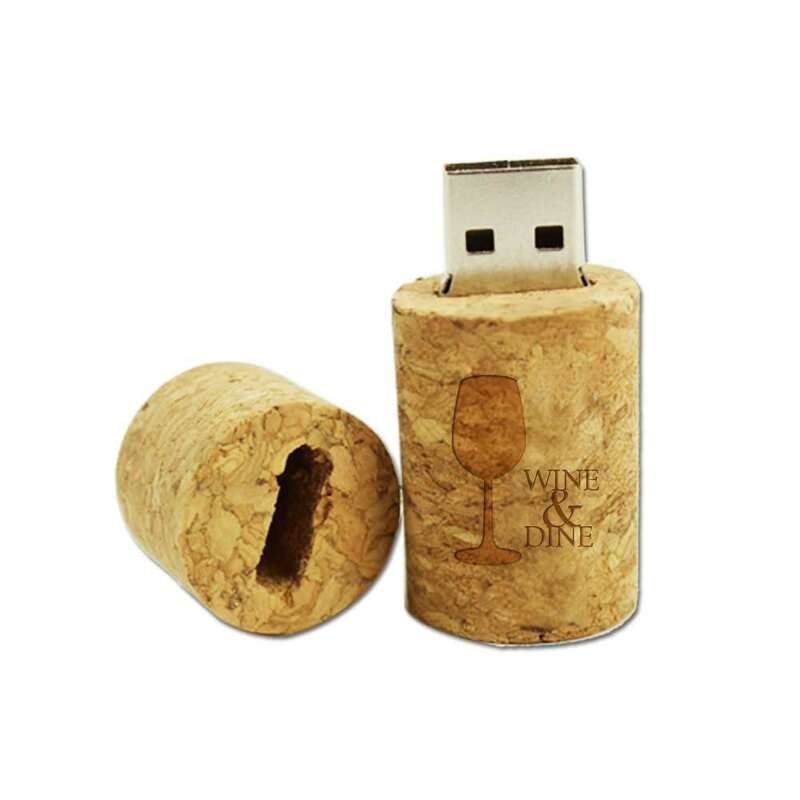 Make an intoxicating first impression with this clever cork-shaped USB drive! 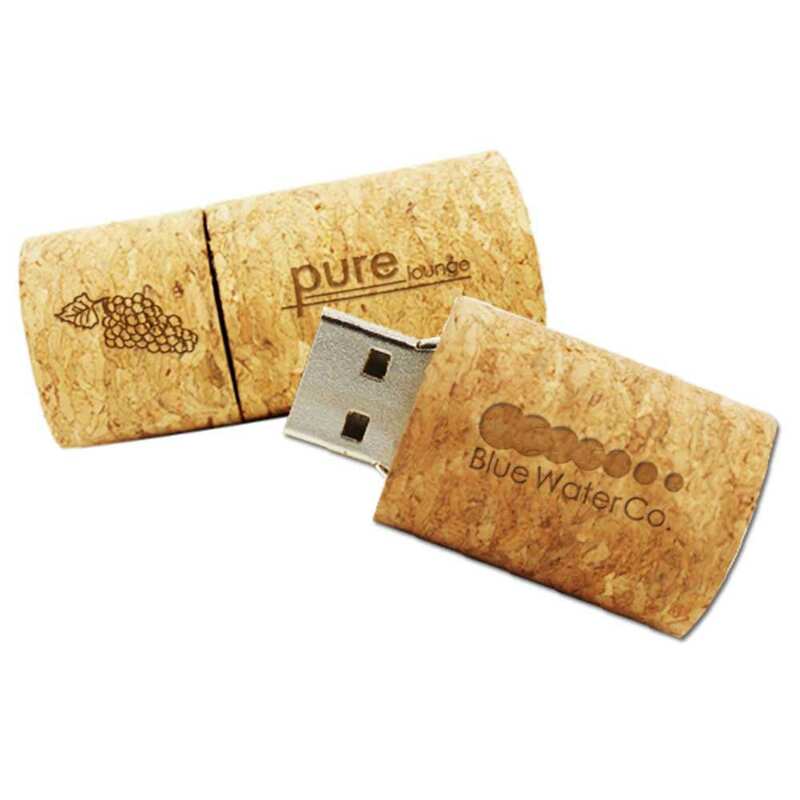 The Napa custom flash drive is an eco-friendly USB drive, made out of cork wood. And like the best wines, this small customizable drive packs a serious punch on the inside. The Napa Hi-Speed USB comes in data storage capacities that range from 128MB to 32GB, perfect for storing your precious documents, pictures, music, videos, multimedia, presentations, and other important files. 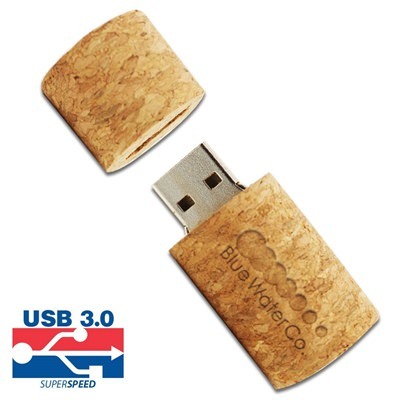 The drive is protected by the Napa’s hardy cork wood exterior and is easy to carry around, thanks to its compact size. It has a shock resistance of 1,000G, up to 10 years of data retention, and a limited lifetime warranty. Order the Napa custom drive with free shipping and it should arrive within 10 business days. This branded USB stick comes with FREE Laser Engraving. 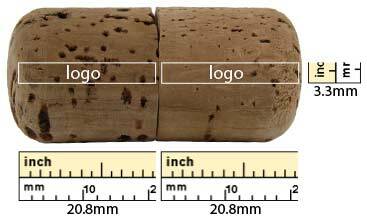 You can personalize your Napa by engraving your company logo or personal brand right on the cork. This makes the Napa drive a must-have for cocktail parties, wine mixers, and other networking events where you can let your hair down and show off your unique sensibilities. 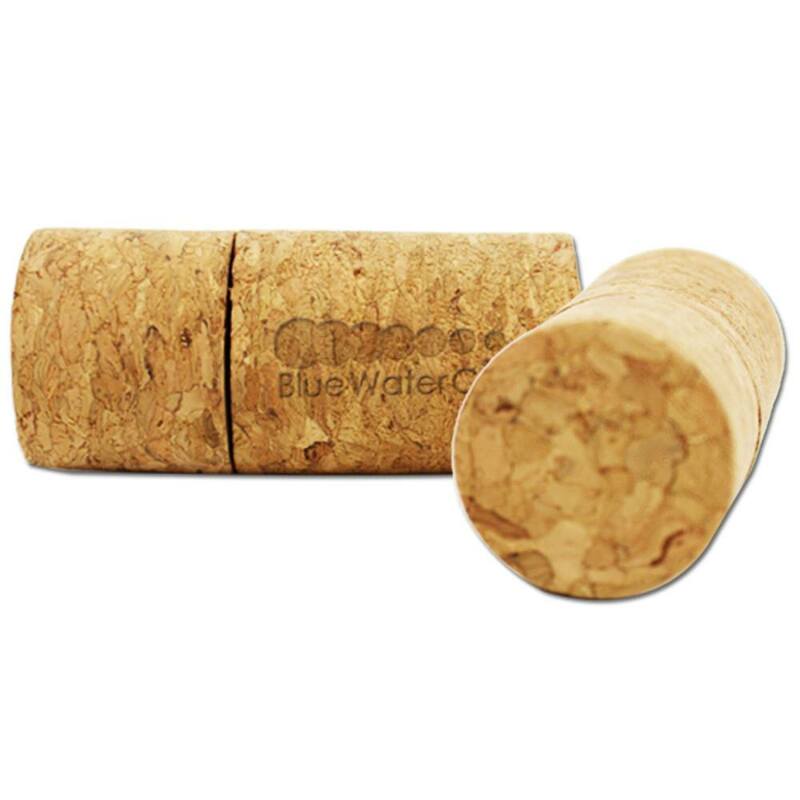 Uncork your data storage problems with the Napa custom drive.